When it comes to the stone. My husband had dream to have a gallery for his collections. 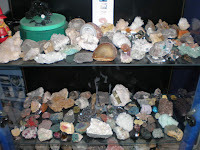 He be also a collector of some / different minerals. Hubby's past time. 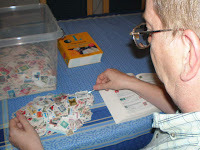 He be a member of Stamp club in Goch for more than 20 yrs and He collected Stamps for almost 40 yrs now. Everyday after work or during freetime he sit so silently arranging his precious stamps. He cannot be separated into it. 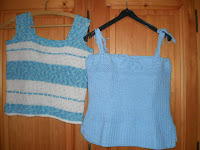 Saw these creation of mine when i arranged my closet. Had a big smile and remember the time when i created all these stuff. That was my boring moment and creative days. 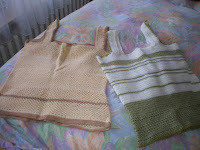 The green-white was my first product and the Yellow- Brown materials was from PI brought to here. After our vacation on September i need to continue some of stuff which i already started and looking for different yarn , and planning to create something new again. wow gaganda naman.. pahagad lol... hubby collects stamps and coins.. 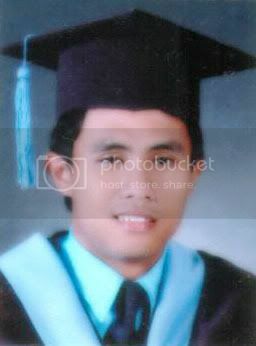 I collect photos hahaha.. Giving u some Pi$O here..
How many blog was born in one day? Hundreds, thousands, millions, or billions, there is none that knew. The ease in creating a blog impact of the birth blog. The success story a person blogger also affected many people created blog. The nonexistence of the rule that banned a person newbie had tens blog, also influenced the birth blog.